Place the duck breast-side-up on a rack in a roasting pan. Pour about 2 cups of hot water, just off the boil, over the skin to tighten it up. Leave the water in the roasting pan. Pat duck dry with paper towels and let cool. Season duck all over with salt and pepper. 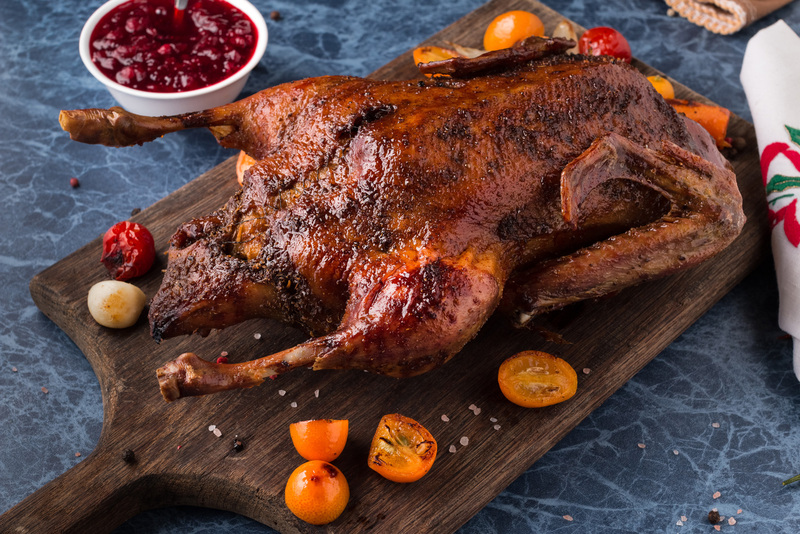 The best way to keep safe is to cook the geese using a vertical turkey roaster. One final point to remember, once cooked always let your bird rest so that the meat and juices cook a start to solidify.